Interested in Being a Pimped Curator? First, select the appropriate rotation. Then choose “study” to use the flash card functionality or “cards” to review multiple cards at once. In either view, you can choose all cards in your rotation set, or filter down to specific procedures or clinic topics to prepare for the day ahead. First, choose the tiers of difficulty you wish to include. you must choose at least one tier to continue. For example, if you click “hysterectomy” you will ONLY be shown questions relevant to hysterectomies. The second page lets you select additional filters to limit by clinical topics or service. For example, to prep for a gynecologic oncology hysterectomy, you could either prep all hysterectomy questions or limit hysterectomy questions to those specifically relevant to oncology. Once you’ve filtered the questions to include those you want to study, choose how many cards to include in the session and “Start Study!”. After reading the question, tap when ready to reveal the answer. Rank how well you think you knew the answer on a scale of 1 to 5. The scale is important as it feeds the algorithm that personalizes the frequency with which cards repeat. This way, questions you know will appear less frequently, whereas questions you rated lower appear more frequently until their rating improves. Favorite questions as you go. The card view is intended for a quick review – you can filter as in the study view, or search for specific terms. Additionally, you can see your most recent rating, indicate if you’ve been pimped on a question, or submit question feedback. 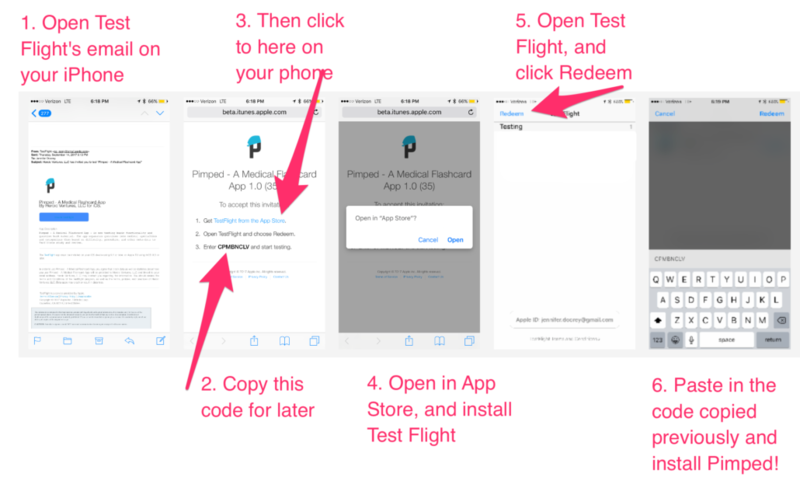 After you’ve been accepted to the beta program (signup here if you haven’t already), you will receive an invitation from Apple’s Test Flight program. Paste the code you copied in step 2 –You should now be able to download Pimped! While Pimped is in beta we’ll be actively working on our supporting documentation. If you need assistance please email [email protected] or live chat us if we’re online! I signed up for the beta, but haven’t gotten an email. As you might imagine, the word “Pimped” can often trigger spam filters. So first, please check your spam folder. If you don’t see it there, try signing up again (maybe you had a typo in your email) or use a non-university based email. If all else fails, email us directly at [email protected] and we can manually add you to the beta. I don’t have an iPhone, can I still participate in the beta? I thought the beta was free, why does Apple want my credit card info? As with all AppStore downloads, Apple requires a credit card on file for in-app purchases and such. The beta version of Pimped and Test Flight are both free apps. You will not be charged. Why isn’t my rotation listed on the Select Rotation menu? Because each databank is highly curated to ensure accuracy, relevance, and understanding, we haven’t yet finished compiling all rotations. We hope to continue to add rotations as they become available from our Curators. Know a great resident or attending who might be able to help launch the rotation you want? Send them our way or nominate them by sending their name and contact info to [email protected]. I have a suggestion for how to improve Pimped, who do I contact? Send any and all suggestions to [email protected]. We love to hear from you! How do I submit a new Pimp question? We are always looking for new additions to our team! We currently need Founding Curators for new specialties as well as ongoing Curators interested in keeping the question databanks updated and accurate. Time commitments range from 15-30 minutes weekly for ongoing Curators, to a larger initial commitment for Founding Curators. A little about our mission. 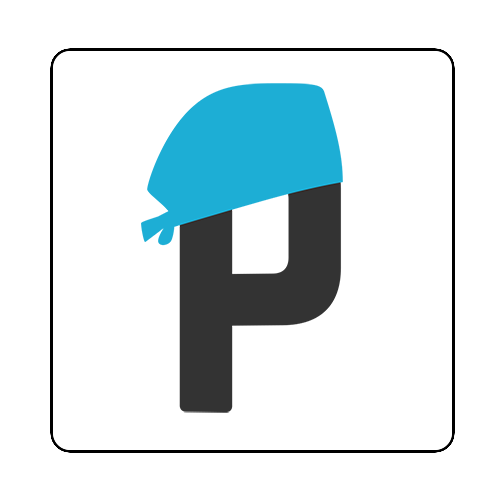 Pimped is a flashcard-based mobile app designed for MS3s and other clinical students during their clinical years. The goal is to take away a little of the stress and uncertainty about clerkships by providing a rotation/procedure based way to study the most common pimping questions. While some people discuss pimping as an archaic mean-spirited right of passage, it is now more often used for genuine education. That being said, it can feel horrible when an entire clinical team waits for you to pull an answer out of thin air for a question that you never saw coming! That’s where Pimped comes in! Prior to a procedure or presenting a patient with a specific illness, students can search expertly curated questions by keyword or pull up common pimping questions to expect during a laparoscopic appendectomy. They can prepare in a more streamlined fashion for one of the most anxiety-provoking parts of clinical rotations — Clinical Pimping! All while increasing their medical knowledge and clinical skills.